Welcome to the Log Furniture Place, Rustic Wood Furniture at Great Prices! 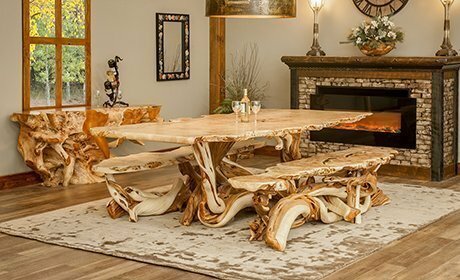 Log Furniture Place is a premier manufacturer of handmade wood furniture and long-time e-tailer of related rustic goods that let you fill any space with organic and natural beauty. 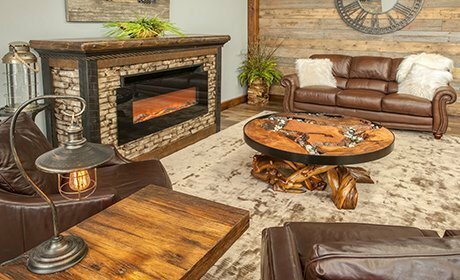 We’ve served satisfied lodge owners, cabin owners and homeowners across the U.S. and Canada for more than 25 years with award-winning customer service and exceptional wood craftsmanship. Own a home, cabin, cottage or lodge? We'll inspire you with a full range of rustic furniture and finishing touches. Are you a fan of reclaimed wood furniture? Barnwood style furniture? So are we! Our heirloom-quality pieces come in all shapes, sizes and finishes. Want it clean and peeled? Or full of burls and gnarls? The choice of real log cabin furniture is yours! 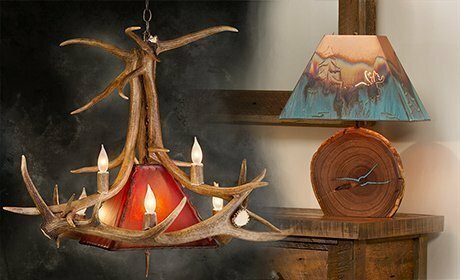 Give that rustic touch to every room in the house! 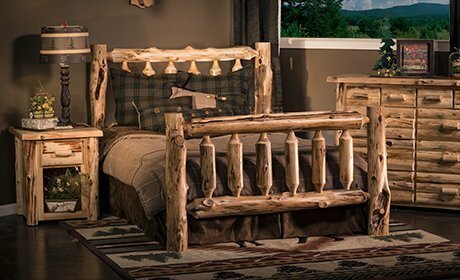 Whether you’re looking for rustic rustic log furniture for your living room, a rustic log bed set for your cabin master suite, or a custom log bathroom vanity for your retreat bathroom, we can help with natural wood products made from aspen, pine, walnut, hickory, cedar and even antler, wrought iron and copper. Outside, our log benches make a fantastic addition to a rustic backyard haven, while our outdoor outdoor rustic furniture sets create a unique natural setting to relax, refresh and unwind. 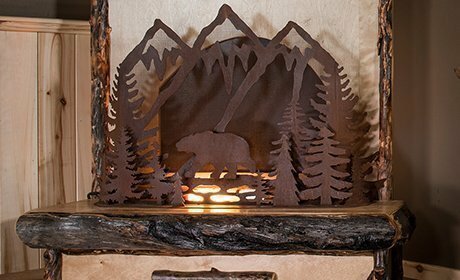 What makes Woodland Creek's Log Furniture Place even more unique? 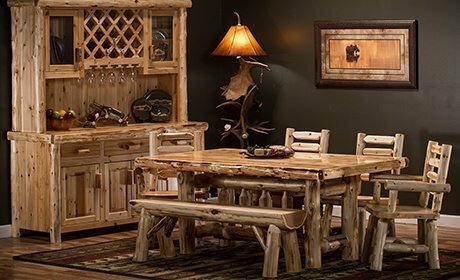 With an ability to craft custom rustic furniture according to your specifications, our amazing Lowest Price Promise, Free Shipping on most orders and a diverse catalog featuring thousands of quality hand-made products which are proudly made in the U.S.A., we're as "unique" as it gets! Need help? Contact our friendly Customer Service department and we'll quickly steer you in the right direction! 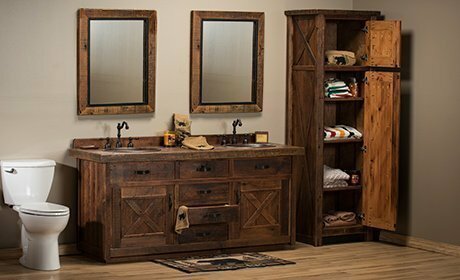 • 1000's of rustic and western products made in the U.S.A.